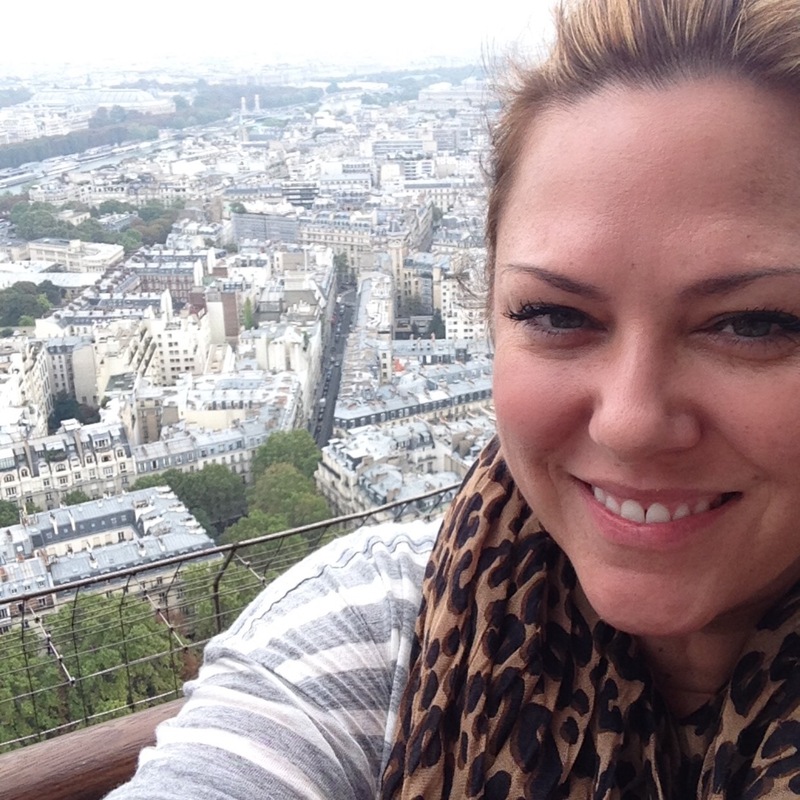 I love trying new foods and I especially love trying local foods. Meaning, I'd rather buy chocolate from the local chocolate shop instead of Walgreens. Unless you live in a small town, it isn't always easy to find those local artisans. And, there's a whole world out there, so who wants to miss out on local vendors that could be just one city over. Luckily, that's where knoshbox comes in. They do the foot work for you and identify small, local artisans across the country and package them in a pretty little present that's delivered to your door. 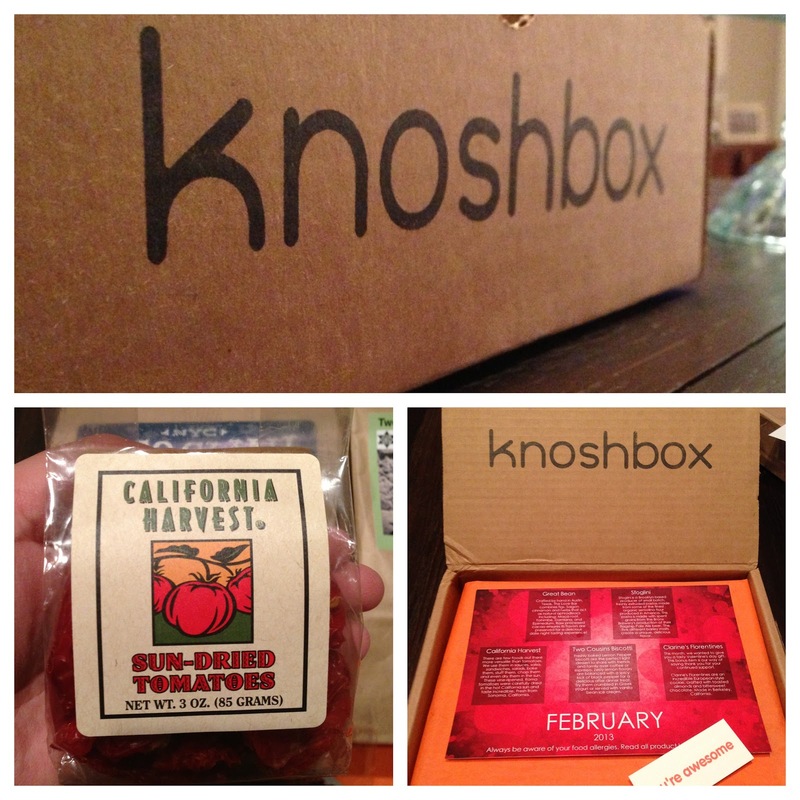 The idea of a subscription box fascinates me. I tried Birchbox and it bored me though. There's only so many perfume samples and ponytail holders this girl needs. But I do need and never tire of food. Although I've been on a huge health kick, this box happened to deliver while I was taking a small break around Valentine's Day. Perfect timing. 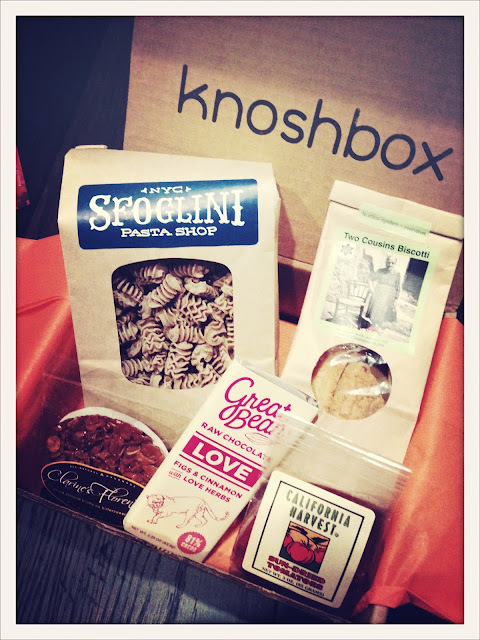 In my knoshbox: California Harvest Sun-Dried Tomatoes from Sonoma, California; Great Bean chocolate from Austin, Texas; Clarine's Florentines chocolate and almond cookie from Berkeley, California; Two Cousins lemon pepper biscotti from Connecticut; and Sfoglini pasta from Brooklyn, New York. I was saving this box to take to my parents house, so it literally sat on my counter staring at me for over a week. The Monday before I was supposed to head to visit my parents I got the call that my dad was very sick and in the hospital. I ate the cookie and chocolate on my four-hour drive. I was stressed and needed chocolate. And, it was incredible. The cookie was creamy and crunchy. I wanted a box more. The chocolate was different flavors for me, but really good! I am DYING to try their salt and almonds bar since I'm obsessed with salt and chocolate anything. After my dad started getting better, he started getting back to his snarky self. After a week, he was so tired of being in the hospital and eating hospital food, I don't think I've seen anyone happier when I showed up one morning with a coffee and package of the biscotti. They were a perfect treat. The package came with quite a few so we had plenty left over. They were perfectly crisp, but not too hard. And the flavor was balanced. Between all of the stress with my dad, I didn't have time to eat the pasta and sun-dried tomatoes before resuming my no carb thing. I'm saving them for Easter to use together in this recipe. I'm excited about the thought of using them together. Unfortunately I missed the cut off for ordering the breakfast box for March, which is a bummer because the maple syrup looked too amazing. I was just too preoccupied during the end of February with my dad. But, I'll definitely pick up ordering from knoshbox again in April! Feel confident in ordering from knoshbox, they give an amazing array of products and plenty for you and for you to share. I thought about getting this as a present for a friend but ended up not - glad to see this review though, it sounds like a great mix of treats!